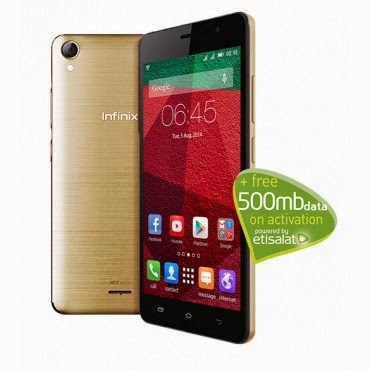 Infinix hot note which was recently launched in Nigeria exclusively to JUMIA is now available on Konga. The infinix hot note which is an update to the infinix hot is currently the latest device from INFINIX. The infinix hot note is powered by a 1.4ghz octa core processor, 1gb ram, 16gb rom and its screen is 5.5inch with a display resolution of 720 x 1280 pixels. The most attractive feature of the Ihot note is the 4,000mah battery. Price level : #23,500 On KONGA.